We’re delighted to announce that Dale Amond has been promoted to Senior Associate with Barden. Dale leads on our Part Qualified Accountant team in Dublin, and specialises in working with and advising those who are working towards their accounting qualification. He works with companies across all industries solely on part qualified accountant and financial analyst roles. Dale joined Barden as our first Graduate Associate in 2017, which enabled him to gain broad exposure across the business, and then specialised in his chosen area of specialist finance. Since joining, Dale has been a central part of our team and has been responsible for defining, establishing and developing the Part Qualified Accountant team in Barden. 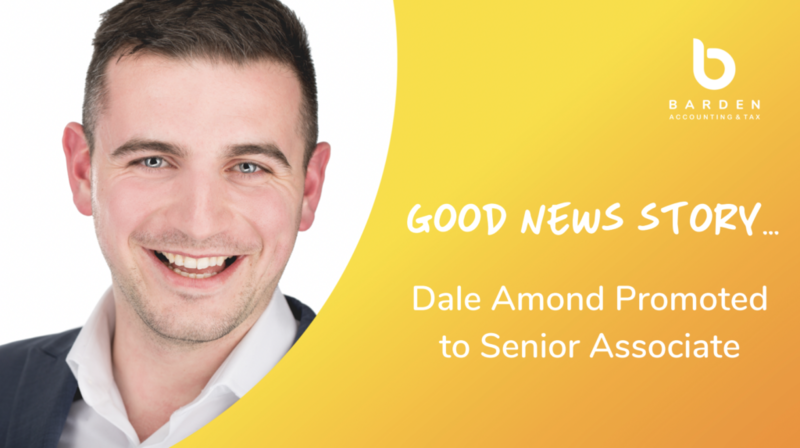 Dale is an honest, friendly and determined professional, who daily goes above and beyond for those who he works with both within and outside of Barden. In the last two years alone, there has been lots of hard work, with over 272 cups of coffee and, with 42 lives changed, Dale is helping people to achieve their ambitions and make their professional futures happen. Prior to joining us, Dale completed his studies in UCD and undertook an MSc. in International Management in NUI Galway. Well done Dale from all your Barden buddies.